ESOTERIC RECORDINGS are pleased to announce the release of a newly remastered and expanded edition of the classic album "FEAR OF THE DARK” by GORDON GILTRAP. For over forty years Gordon has enjoyed the well-deserved reputation as one of Britain’s greatest guitar players. He made his first recordings in the 1960s as folk artist, but by 1976 he had crossed into the Progressive Rock genre and signed to the newly formed Electric Records imprint. 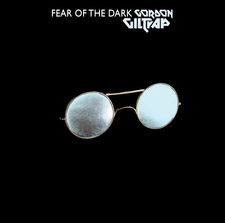 "FEAR OF THE DARK” was one of Giltrap's hit albums, and it is easy to see why: layered guitars, keyboards and a string section to give it a lush sound. For an ex-folkie it is surprising that these albums didn't draw on traditional music, like Oldfield did, but went for something a lot grander. "FEAR OF THE DARK” saw Gordon backed by a band of outstanding musicians such as JOHN G. PERRY (Bass), ROD EDWARDS (keyboards) and SIMON PHILLIPS (drums) and featured many outstanding tracks. This Esoteric Recordings edition is newly remastered from the original tapes and includes eight bonus tracks drawn from a series of singles released between 1978 and 1980, including the live track ‘Inner Dream’ and ‘Party Piece’, ‘Theme from The Waltons’ and ‘Birds of a Feather’ previously unreleased on CD. 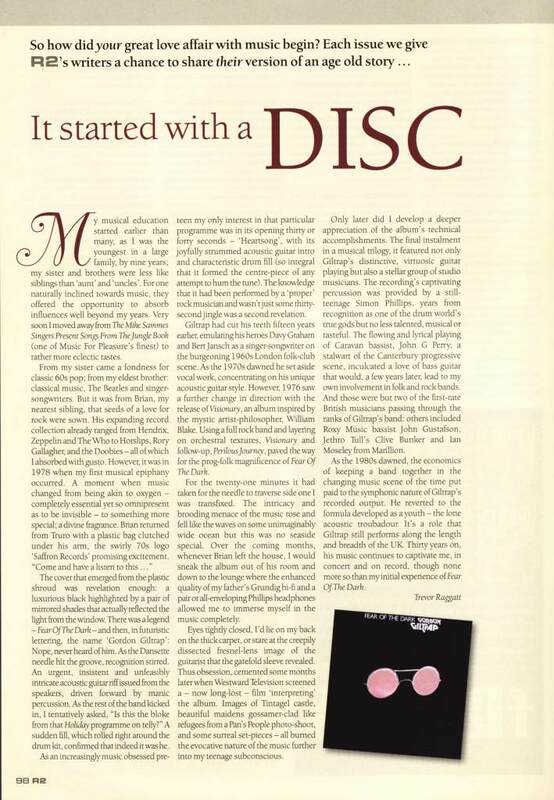 The reissue also features a lavishly illustrated booklet with new essay and interview with Gordon Giltrap. 1978 Electric Label LP - TRIX7 Gatefold sleeve LP. Tracks 1 - 8 as listed above. 1978 Electric Label MC - ZCTRX7Tracks 1 - 8 as listed above.